The Cliff™ range of 2.5mm and 3.5mm jack sockets are available with unswitched, switched or make contacts. They come in a choice of solder tag or PCB mounting versions. 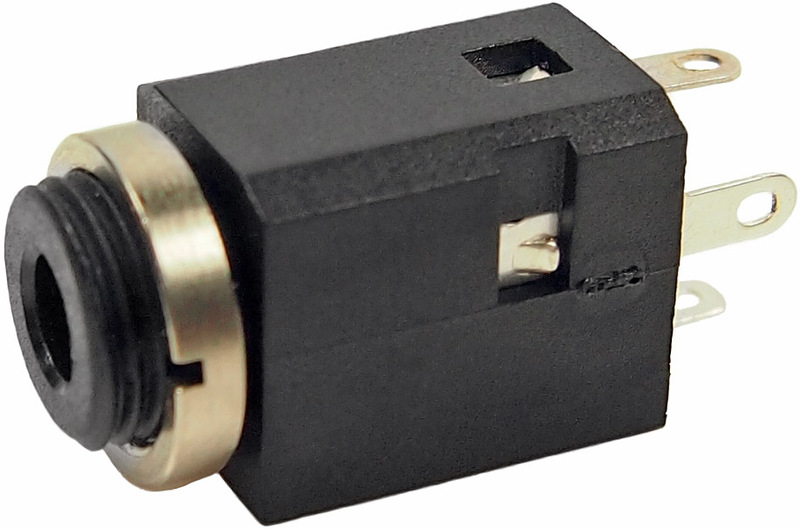 See the PDF data sheet: 2.5mm and 3.5mm Mono and Stereo Jack Sockets (opens in a new window). 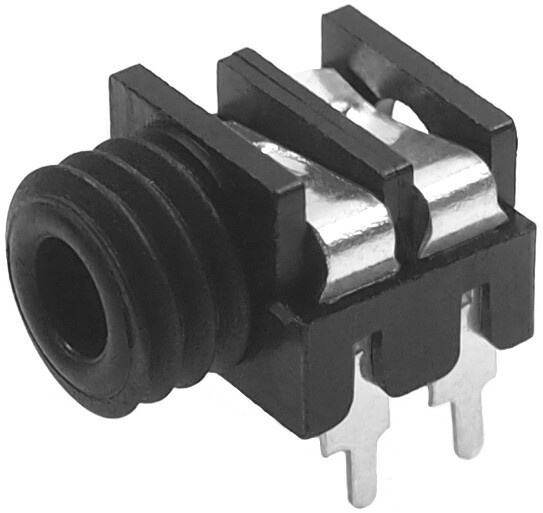 For surface mounted connectors, please see the PDF data sheet: SMD Jack Sockets (opens in a new window). 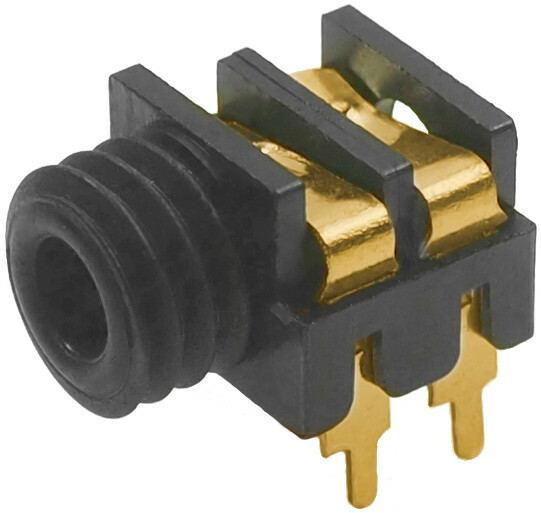 There is also a PDF data sheet for Gold Switched Jack Sockets (opens in a new window). FC6810 JYO-25 mono switched 2.5mm jack socket. Panel mounting with solder tags. Supplied with ring nut. FC68102 JYO-29 mono 2.5mm jack socket. Right angle PCB mounting. FC6811 JYO-26 mono switched 2.5mm jack socket. Right angle PCB mounting with ring nut. FC68113 JYO-26A mono switched 2.5mm jack socket. Right angle PCB mounting with ring nut. Threadless nose version. FC68105 Low profile 2.5mm jack socket. FC6812 JYO-35 mono switched 3.5mm jack socket. Panel mounting with solder tags. Supplied with ring nut. FC68130 JYO-36A mono switched 3.5mm jack socket. Stand-off right angle PCB mounting with threadless nose. 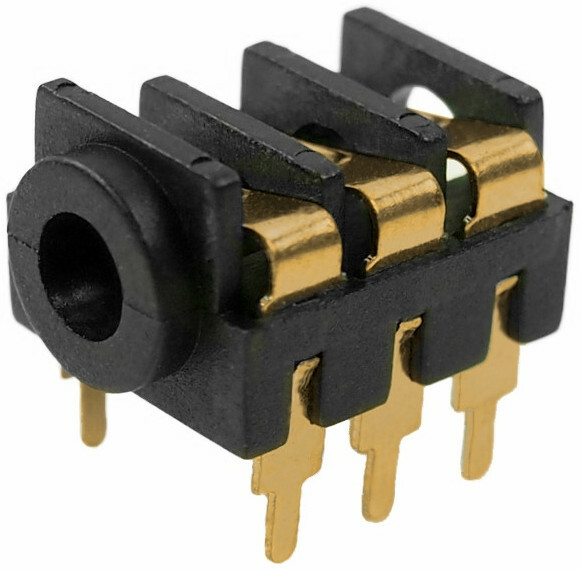 FC68131 JYO-39-3P stereo unswitched 3.5mm jack socket. Right angle PCB mounting. Sn (tin) / Ni (nickel) plated. 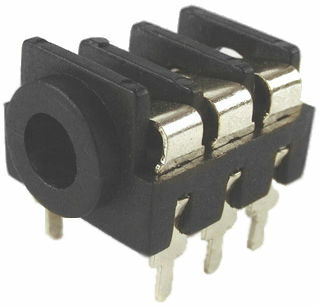 FC68133 JYO-39-5P stereo switched 3.5mm jack socket. Right angle PCB mounting. FC68133 Sn (tin) / Ni (nickel) plated. 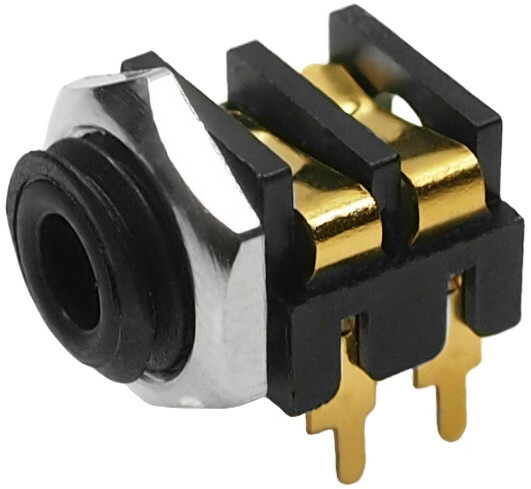 FC681374V stereo switched 3.5mm jack socket. Vertical panel mounting with solder tags. Supplied with ring nut. FC681375V stereo switched 3.5mm jack socket. Vertical PCB mounting. Supplied with ring nut. FC681375VH stereo switched 3.5mm jack socket. Vertical PCB mounting. Supplied with hex nut. FT6320 JYS-35 stereo switched 3.5mm jack socket. Right angle PCB mounting. Supplied with ring nut. CL1362 S6/SS mono unswitched 3.5mm jack socket. Panel mounting with solder tags. CL1382 S6/BB mono switched 3.5mm jack socket. Panel mounting with solder tags. CL1384 S6/BB PC mono switched 3.5mm jack socket. Right angle PCB mounting. CL13843 S6/BB PC mono switched 3.5mm jack socket. Right angle PCB mounting with 5.5mm height from the board. No nut. CL13843G S6G/BB PC mono switched 3.5mm jack socket. Right angle PCB mounting with 5.5mm height from the board. Gold plated. No nut. CL13845 S6/BB PC mono switched 3.5mm jack socket. Right angle PCB mounting with 5.5mm height from the board. Supplied with hex nut. CL13845G S6G/BB PC mono switched 3.5mm jack socket. Right angle PCB mounting with 5.5mm height from the board. Gold plated. Supplied with hex nut. FCR1281 S6C-A/BB mono 3.5mm jack socket. PCB mounting with a 6mm height off the board. 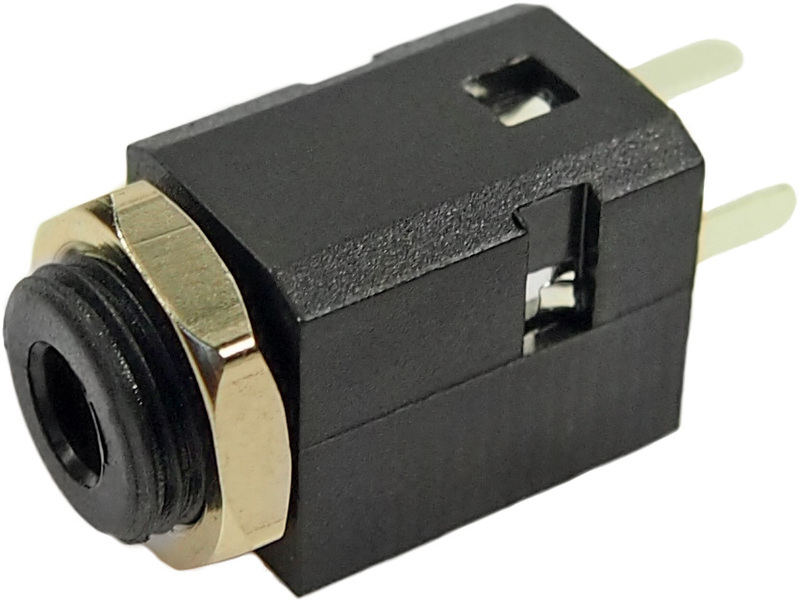 FCR1295 S9/BBB stereo 3.5mm mini jack socket. PCB mounting with a 6mm height off the board. FCR1295G S9/BBB stereo 3.5mm mini jack socket. PCB mounting with a 6mm height off the board. Gold plated.